Regardless of your politics, this is great news. Also, I may have accidentally given to a TD, my apologies. Bull$h1t, all the economic news from this administration has been spot on. I don't like Trump's narcissistic tirades or his comments on McCain,...and others, but he has put our trade partners in their place - not like that ##### Obama giving our financial future away! Put our trade partners in their place? Jesus. You don't really believe that, do you? Trumps tariffs have been a COLOSSAL disaster economically. We have been subsidizing the aftermath for months now. Re: Put our trade partners in their place? You don’t believe what you just posted ? There is hard, economic data to prove it. Dr. Benjamin (Clemson professor), Econ 101 type stuff we are talking about here. Stuff a failed businessman wouldn't know anything about. But hey, I'm an accountant. What the #### would I know about numbers? It's not like there are any Democrats that could have turned the country around like the trump administration has. The current offerings are laughable at best. JeffSt, I gave you one on purpose. I will offset your mishap with a (+1) . There is no wrong board to report something like that. It's good news regardless of your politics and we're all Tigers. But what if you support ISIS? Definitely not good news if so. Re: But what if you support ISIS? I have some really gooey pig grease for you. They didn't want to be there. No they did not.....Thanks to Trump.....Go Tigers!!!! This is indeed great news! An ignominious end fitting for a diabolical ideology. And tremendous credit to our American military! Thank God for their courage and determination!!! Sadly it isn't the end. They really blew up my bracket. It would be nice if they all would take their evil and go straight to h&11!!! 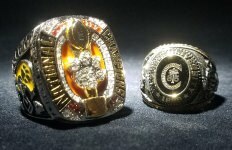 That is were those terriost are right now and will spend eternity.......burn baby burn......Go Tigers!!!!!! As long as they weren’t defeated by the coots! As Trump might well say, "Fake News." Isis is still fighting in Syria. This is the 13th time since the end of January that the Administration has claimed it has defeated Isis. And as all know, even if the Caliphate is ultimately destroyed, the Isis ideology and its folowers will live on across the Middle East and beyond and remain a major obstacle to world peace. I'm glad we used the "copycat" strategy to defeat them. It works every time. Who is he coaching and can he recruit? The Democrats will close the border as soon as they get enough in here to turn Texas blue. Both of these issues are part of the same problem.......use one to stop the other......Go Tigers!!!! That is good, but they will regroup, evil people usually do!!! I know, it's like ants at a BBQ. Kill them and snuff out their path and they'll find another way to the table. Sorry, but as someone who saw how many times..
we won in Vietnam and Iraq, then had to face the enemy again, I have come to the conclusion that terrorists and guerrillas are like cockroaches and fire ants. You can find the nest and destroy it, but some always survive to come back. There's more than one politician in DC that would disagree with you. headlines on CNN are Mueller, AOC, and Kraft. A big thing about spacewalk as well. I'm willing to accept the Mueller or Spacewalk headlines, the AOC and Kraft headlines belong way down, and regardelss of how far down significantly BELOW the ISIS news. Media is sick. Ted Koppel, a liberal, spelled it out clearly as did the 60 minutes correspondent who also woke from her comma. While it is good they hold no territory you gotta understand an ideology needs no territory to thrive. They are not gone, their vision is alive and this is not close to over. I believed him the first time. After the next 10 times of saying that and it being untrue, you would think people would learn. Terrorism doesn't have a base... History tells us this. they might have done better.